Je veux manger du chochlate. -I want to eat chochlate. Je veux manger du pain petite. I want to eat small bread. Lol.. I have been saying Je veux manger chochlate …all day. 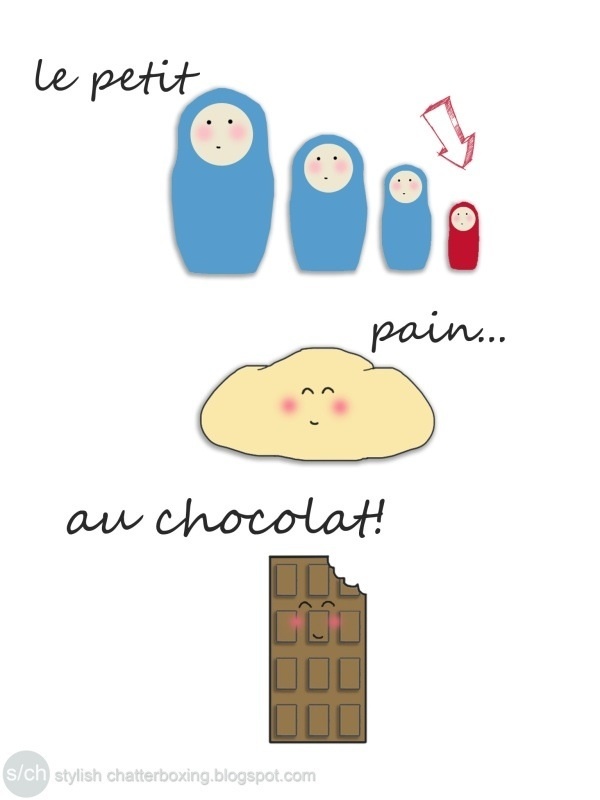 Je veux manger du chocolat. – I want to eat chochlate. Je veux manger du petit pain – I want to eat small bread. Merci :p Are you French? Thank you for the compliment 🙂 I’ll be visiting yours everyday too!